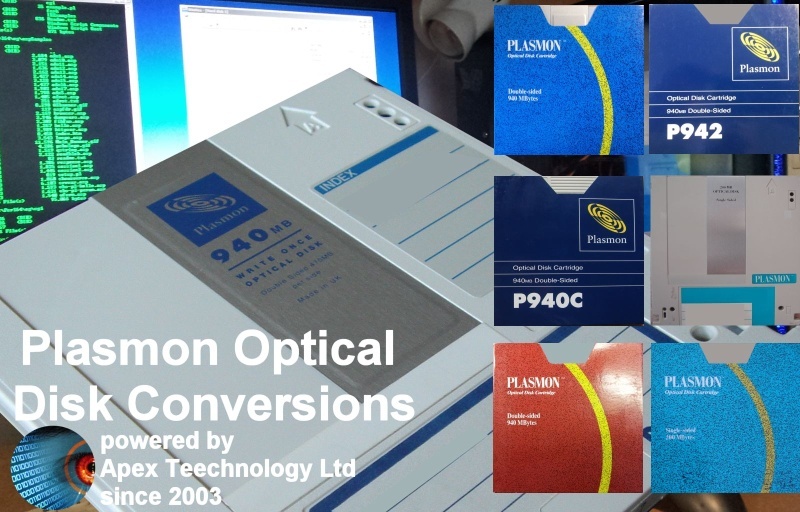 If you need a Plasmon Optical Disk Cartridges File Transfer, Data Recovery and Conversions service, then contact our friendly company. Plasmon Optical Disk Cartridges. File Transfer Data Recovery and Conversions for disks used in Jukebox Disk Library.